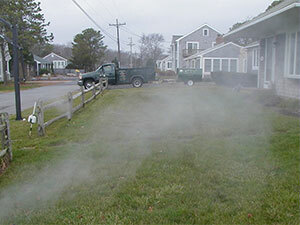 At Briggs Landscape on Cape Cod our irrigation installations range from simple to very sophisticated water-saving systems, always with the customers budget in mind. Our years of experience allow us to adapt our services to meet your needs with a high degree of professionalism and personalized landscape service. A proper design is the key to an efficient irrigation system. Our landscape designers are experienced, but also certified by the Irrigation Association. This means that you are hiring a professional that is committed to quality in education and practice. Certification makes us a leader in our field and sets us apart from our competition. Every System is installed professionally, using the latest technology to minimize any disturbance to existing landscaping. 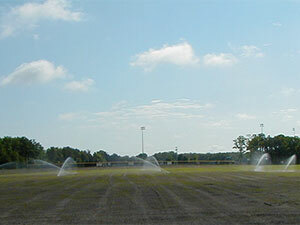 We only use quality supplies and materials from the leading professionals in irrigation equipment. We take the time to perform the work carefully the first time and we guarantee our workmanship. Your satisfaction is Briggs Landscape’s top priority. A sprinkler system needs to meet your needs today and in the future. Whether you are expanding or changing your property, installing new landscaping or shrubs, or just upgrading an old sprinkler system, you will need to have the most efficient system out there. We stay on top of new technology and upgrade systems to ensure that they are efficiently conserving water and keeping your lawn and landscape looking its best. Responsiveness to our customers is the key to our success-and the foundation of our business. We are available by phone to answer any questions, and troubleshoot. If you need us to come out and service your system, call or email us for an appointment. We work quickly and carefully to repair your problems. Springtime is when you want to have your systems checked and make all the necessary startup adjustments. We will adjust all heads and set up your digital timer. We will also check the system for any possible leaks and do any repairs after consultation and approval from our customer. 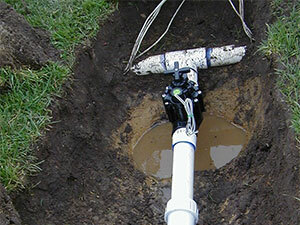 We offer winterization service for all types of irrigation systems. All of our work is guaranteed! All systems need to be winterized and with the right equipment, this can be done correctly. We use the right size compressors and winterize the system with high volume air and low pressure. This eliminates most damage that can be caused by freezing.